Router-switch.com is having a big promotion on top-rated Cisco products including routing, switching, collaboration and security. Small business network solutions from Cisco 2960-X switches deliver the manageability and flexibility your business needs to grow across one office or many. 2960-X Series are stackable Gigabit Ethernet Layer 2 and Layer 3 access switches. They’re easy to deploy, manage, and troubleshoot. They offer automated software installation and port configuration. And they help you cut costs with energy-efficient features. With cost-effective Cisco 7800 IP Phones, increase your business call efficiency and productivity while reducing IT operating costs. 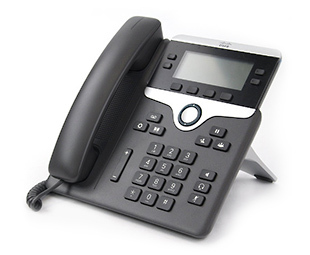 Deploy the IP Phone 7800 Series whether your platform is on premises, Cisco Webex Calling, or from third-party Cisco approved Unified Communications as a Service (UCaaS) providers. ASA 5506-X NGFW, the industry’s first Threat-focused Next-gen Firewall. It combines the proven network firewall with the industry’s most effective next-gen IPS, url filtering, and advanced malware protection. This NGFW has earned the highest security effectiveness scores in third-party testing for both NGIPS and AMP, blocking 99.4% and 99.2% of threats, respectively.